Thomas Heatherwick is to completely overhaul of the Olympia events centre in west London, creating a hotel, a theatre and suite of new entertainment venues within the Victorian exhibition hall. Heatherwick Studio is working with London-based architectural practice SPPARC on the overhaul the Olympia London venue in Kensington. In addition to the hotel and theatre, the duo are expected to design museums, co-working spaces and restaurants for the venue. The aim is to transform the 130-year-old exhibition hall into a "world-leading arts, entertainment, exhibition and experiential district", according to investment companies Yoo Capital and Deutsch Finance, who own the venue. "My studio's passion is improving the public experience of cities for everyone," said Heatherwick, who plans to retain the venue's Victorian features while improving the public facilities within. "During this first phase we are beginning to talk to people, particularly local residents and visitors, to learn more about Olympia London and are looking forward to working on the project." The news follows Rohan Silva's claims that west London is need of serious cultural investment. The Second Home co-founder said the area has seen a decline of affordable workspaces and cultural venue that are driving creative industries east. Olympia was designed by architect Henry Edward Coe and completed in 1886, originally called the National Agricultural Hall. Its key features are a vast arching roof and a huge domed window supported by ironwork. The six-hectare site currently hosts 220 exhibitions and events annually, such as London Design Festival trade fair 100% Design. "By working with world respected design firm Heatherwick Studio, we are ensuring that Olympia London is elevated on the world stage as a must-visit exhibition, events and leisure destination," said John Hitchcox, the chair of Yoo Capital. 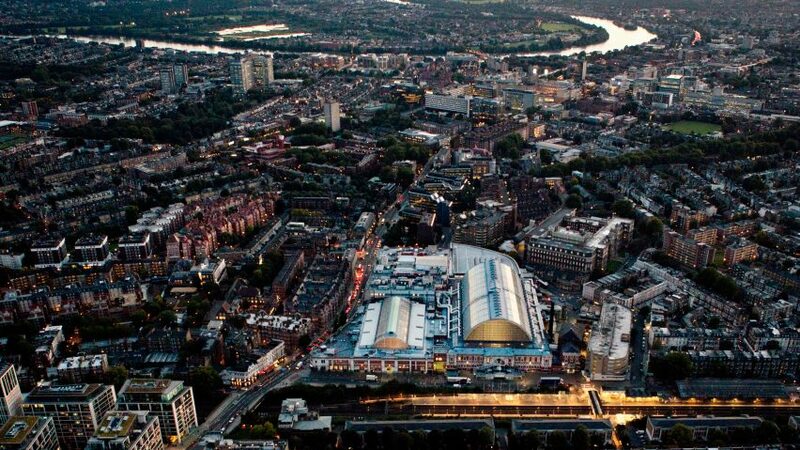 "Our Victorian forefathers first conceived Olympia London to be a destination for all people to see, learn and experience major exhibitions, events in culture, music, technology, arts and sports," added the company's managing partner Lloyd Lee. Heatherwick, whose studio has just completed the conversion of a grain silo into an art museum in Cape Town, was runner up in the design section of the inaugural Dezeen Hot List – a guide to the most read about figures in the industry. The ongoing controversy over his Garden Bridge project for London – now scrapped – earned him a prominent position on the list. Heatherwick's plans with Danish architect Bjake Ingels for a huge headquarters for Google in London, and work on Manhattan's Hudson Yards and London's Coal Drops Yard developments have ensured he has remained in the spotlight this year. Photography is courtesy of Yoo Capital.